Hojicha Infused Custard – Hojicha Co.
Hojicha infused custard is rich, creamy, and has the unmistakable aroma and flavor of roasted green tea. This optimal taste and smooth texture is achieved by infusing loose leaf hojicha directly in non-dairy milk. All it takes is a few minutes to make your very own Hojicha Infused Custard. The only question left is, will you enjoy it warm or chilled? Either way you’re bound to satisfy your sweet tooth with this decadent dessert. Heat ½ cup + 2 tablespoons non-dairy milk in a saucepan over medium-low heat. Once steam appears, add 2 tablespoons loose leaf hojicha. Stir once to ensure tea leaves are submerged, then steep for one minute. Strain the hojicha infused milk and set aside. Add 1 tablespoon organic coconut palm sugar and 1 tablespoon custard powder to a small pot. Whisk together thoroughly to prevent lumps. Heat the sugar and custard powder over medium-low, and gradually add the hojicha infused milk while whisking. Whisk constantly until the mixture begins to thicken. 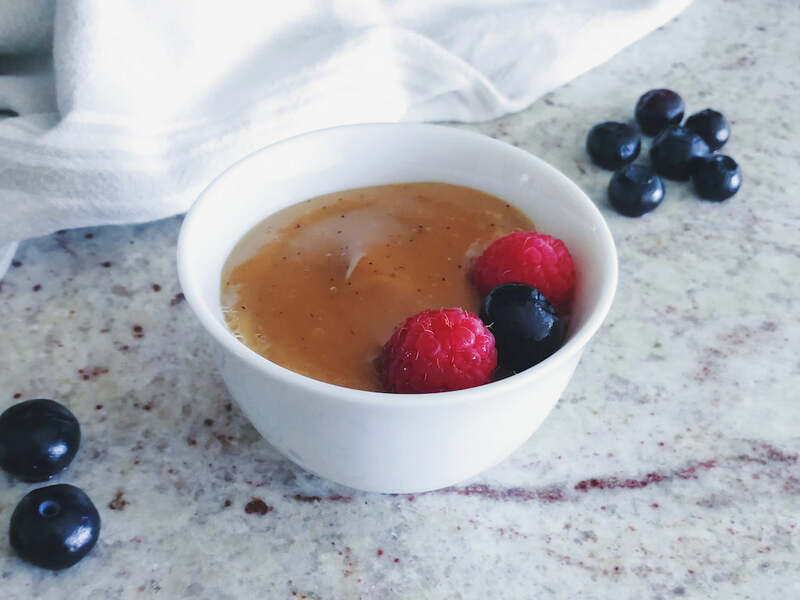 Remove from the heat, and serve the hojicha infused custard as is or decorate with berries.